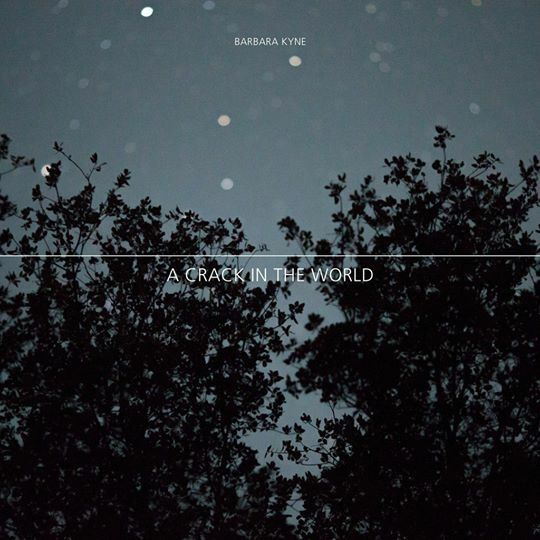 American fine art photographer Barbara Kyne is interested in how we perceive the world and the connection between all living things. As an artist she asks fundamental questions about the nature of reality such as, who are we, and how are we related to the cosmos. Underlying themes in her work are intelligence and nature, eco-sustainability, and a philosophy of life that collapses the dualism between science and religion. In A Crack in the World: Five Acres in Mariposa (Daylight Books, October 2016) Kyne imagines what the consciousness of plants might be. What do they know? How do they feel? How do they interact with other species? All the photographs in the book were taken on five acres of wild land at Kyne's weekend retreat outside of Mariposa, California in the Sierra Nevada Mountains. She combines her senses and the camera's optics to cast her "camera-being" as a unique species searching for clues to the reality that is outside our limited human senses. Kyne says: "The sentience of all living entities and our shared consciousness jumps out at me as I peer through what seems like a crack in the world that allows me to begin to perceive some of its secrets. Orbs pop and streaks of light dance through the layered dimensions of land and sky. Perception shifts and the small becomes outsize and the distant alive. I observe the cycles of life, death, and rebirth and am struck by the inextricable connection between pathos and joy." Whether observing brilliance, darkness or some place in between, these fresh, layered and technically complex images examine the possibilities in the un-sensed and unimagined and inspire empathy for all sentient beings and the planet that sustains them. In her essay, the renowned author and eco-feminist Susan Griffin comments about the "quite vivid, even vital" qualities present in Kyne's beautiful images: "The subjects of many of Kyne's photographs -- trees, grass, scrubs, plants -- are alive. Many of us have also come to understand that soil is alive too. Yes, yes. But still, I sense there is something more. Evident and elusive. Something internal occurring in the trees, the plants, the stars in the night sky, that seduces me, draws me in toward these images and at the same time inward toward a lesser-known territory in myself." Jasmine Moorehead, director of Krowswork Gallery in Oakland describes Kyne as "very much a 21st-century photographer, and when we see in her photographs that the trees are dancing, that the light has material form and is communicating very distinctly with the plant life it serves ... we can trust that this is not anthropomorphizing because her camera-being perspective eschews any separation between us and Earth. And what she brings back through her photographs is evidence of a different, far more thrilling reality: We are part of a magical universe that beckons us to return."